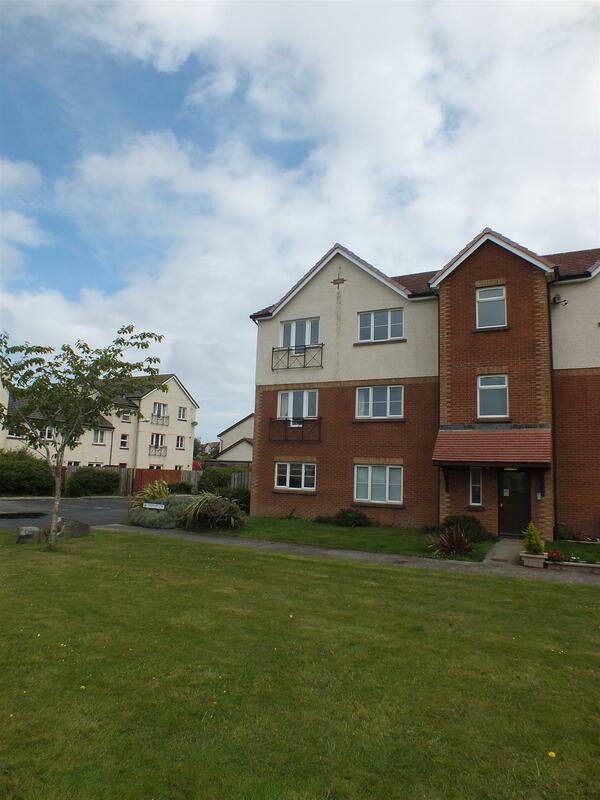 Purpose Built Ground Floor Apartment in a Pleasant Modern Development. Enjoying a Pleasant Outlook Across the Central Green. Offered in Excellent Order Throughout with Good Storage Space. 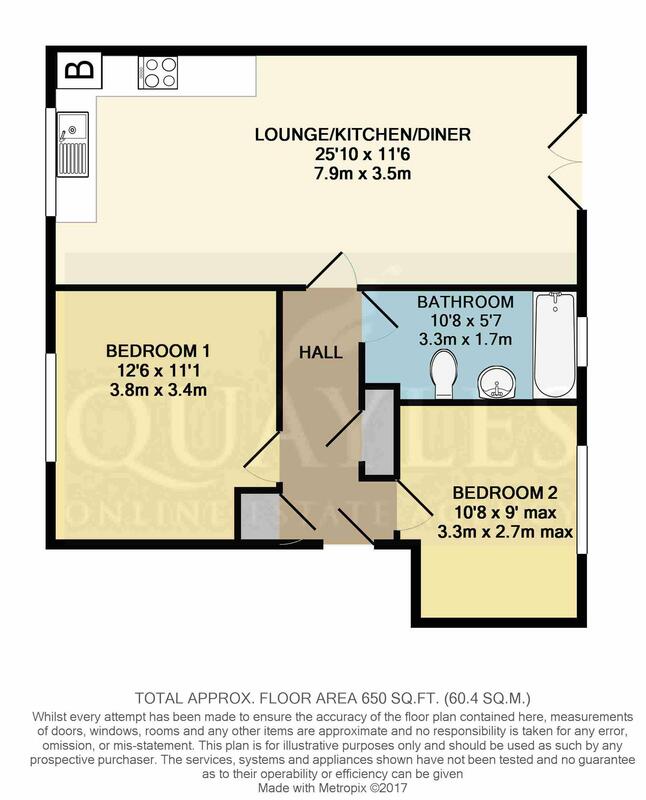 Spacious, Semi Open Plan Lounge, Dining Area & Kitchen. Bathroom & 2 Double Bedrooms. 1 Designated Parking Space & Ample Communal Spaces to the Rear. Small Front Garden & Enclosed Rear Garden. Travel to Peel passing QE2 school and continue on. Take the right hand turning into Albany Road and at the junction turn right into Derby Road, continue up passing Shoprite and the swimming pool and travel through the roundabout straight ahead. Upon reaching The Highwayman Public House turn left onto Oak Road. Take the second right turn into Magher Breek and continue ahead where the apartment block can be found on the left hand side clearly identified by our for sale board. Stairs to upper floors. Door to the rear access path which leads to communal parking spaces and bin store. Private entrance area with intercom system. Telephone and power points. Smoke detector. A deep storage cupboard which houses the consumer unit. Storage hooks and light. A naturally bright room with uPVC double doors to the garden. TV and satellite points. Open plan to the kitchen and dining areas. A spacious area with fitted wall and drawer line base units together with laminate work surfaces incorporating a 1 1/4 bowl stainless steel sink and lever mixer tap along with a four ring gas hob with a 'Siemens' brushed steel extractor hood above and a matching electric oven beneath. 'Hotpoint' washing machine and tumble dryer. Full height 'Zanussi' fridge/freezer. Front facing uPVC window. 'Saunier Duval' gas fired combi boiler. Background tiling and counter lighting. Multiple power points and ceiling lights. Ample space for a table and chairs. Solid woodstrip flooring. A generous double room with a uPVC window looking out to the central green. Ample space for freestanding furniture. TV and telephone points. A further double room with rural views to the rear. Ample space for a double bed or twin beds along with free standing furniture. A very spacious room fitted with a contemporary white suite of push button flush WC, pedestal basin with tiled splashback and mirror above, together with a panelled bath with mixer shower, fitted glass screen and tiled surround. Obscure glazed uPVC window. Under bath storage space. Chrome heated towel warmer. Vinyl floor covering. 'Xpelair' extractor and recessed downlights. Wall mounted electric fan heater. To the front of the property is a designated parking space - number 1.